Version 3.13 Fix DOE initialization error. 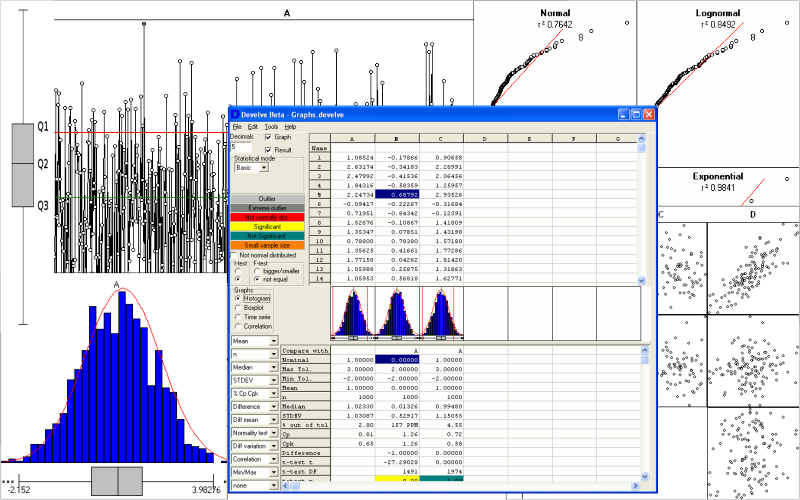 Statistical software for fast and easy interpretation of experimental data in science and R&D in a technical environment. This statistical package helps with analysis and prevents making false assumptions. In short it makes statistics faster and easier, suitable for less experience users but advanced enough for more demanding users. Develve has no deep hidden menus, everything is directly accessible and the results are directly visible, to improve the productivity. 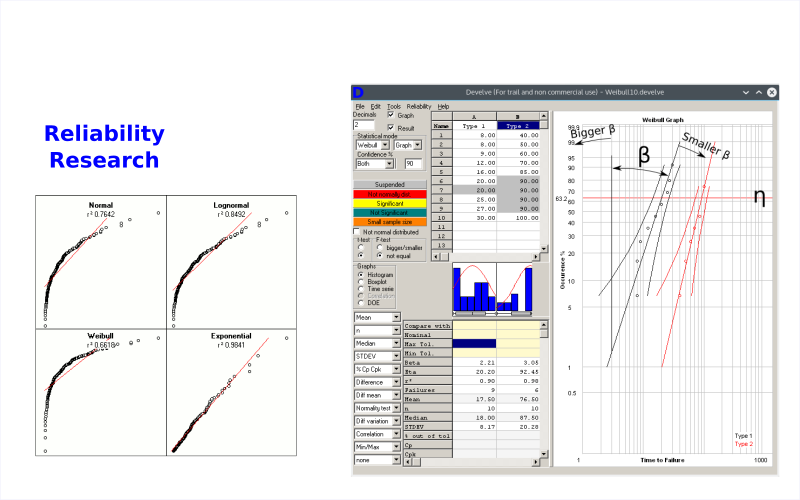 For instance the result graphs are easily scrollable and with a click on a graph a bigger version will pop up. Develve clearly indicates when two variables are significantly different, and if the sample size is big enough to prevent false assumptions. 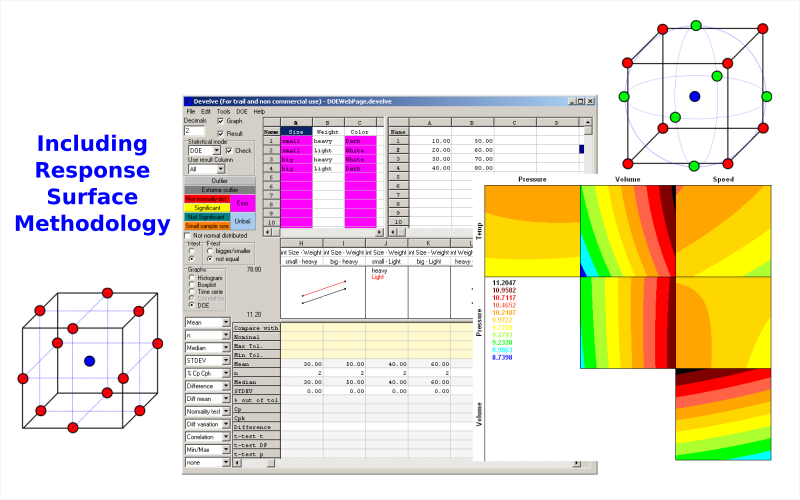 For a Design of Experiments Develve helps to create a test matrix. When a factor is not in balance Develve will detect this. 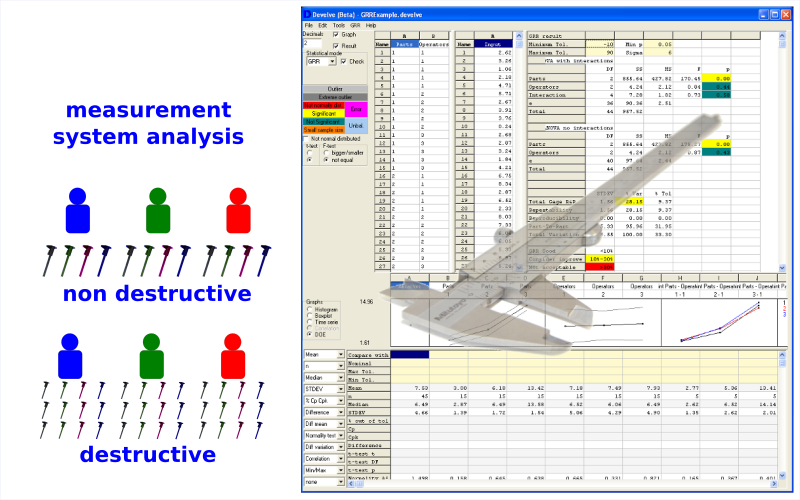 This program can help to develop a robust product with high quality, this makes Develve an excellent Six sigma toolbox.